"I went to update my apple TV(4th gen) this morning, but it just flashes and iTunes won't recognize it in the device list. I updated iTunes to 12.7 and still nothing. Any advice?" Your Apple TV doesn't work and just keep blinking, you have no idea how to get this issue fixed? Have tried all the solutions you know but nothing works? No worries, in this article, we will guide you how to fix Apple TV 4 flashing light of death issue for good. 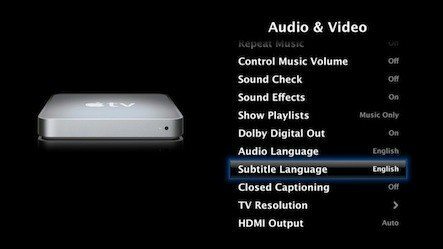 Normally, a simple restart could resolve most problems, so just try to restart your Apple TV from Settings or unplug it from power respectively, below are the detailed steps. On Apple 4th generation, simply go to Settings>>System, and then click on Restart. Or you can hold down the Home and menu buttons on your remote, then release them when you see a light flashing on your Apple TV. If the Settings menu or remote cannot help you restart your device, you can unplug your Apple TV from power instead. Wait for while and plug it back again. First of all, power off your Apple TV and plug a micro USB cable into the back of your Apple TV and connect the other end to a USB port on your computer, and make sure that iTunes is already installed on it. Once connected, power it on and iTunes will be opened automatically. From there, click on "Restore Apple TV". Confirm the action by hitting "Restore and Update". After that, the latst version of Apple TV software will be downloaded and installed.When completed, simply eject your Apple TV. If you failed to fix Apple TV keeps blinking issue after trying the methods above, a free tool Tenorshare ReiBoot might be helpful to you. It is a professional program designed to repair all kinds of iOS issues, including Apple TV, iPhone, iPad and even Apple watch. Now let's check out how it works. Download and install ReiBoot on your PC or Mac, then connect your Apple TV with a Micro-USB, then launch the program. After that, it will start detecting your device. Once detected, click on the "Fix All iOS Stuck" and hit "Fix Now"
Next, download the latest Apple TV firmware by hitting the Download button to perform the system repair. When download completed, just hit the Start Repair button to repair the operating system. After repair, your Apple TV white light of death will be fixed and it will restarting properly. This is all about how to fix Apple TV 4 f blinking light issue, hope these methods are helpful and you are able to enjoy Apple TV again. Have you struggled with an Apple TV keeps blinking or other issues? Do comment below to let us know!